Hundreds of people throughout the state have come out in opposition to House Bill 77, known also as the Silencing Alaskans Act. 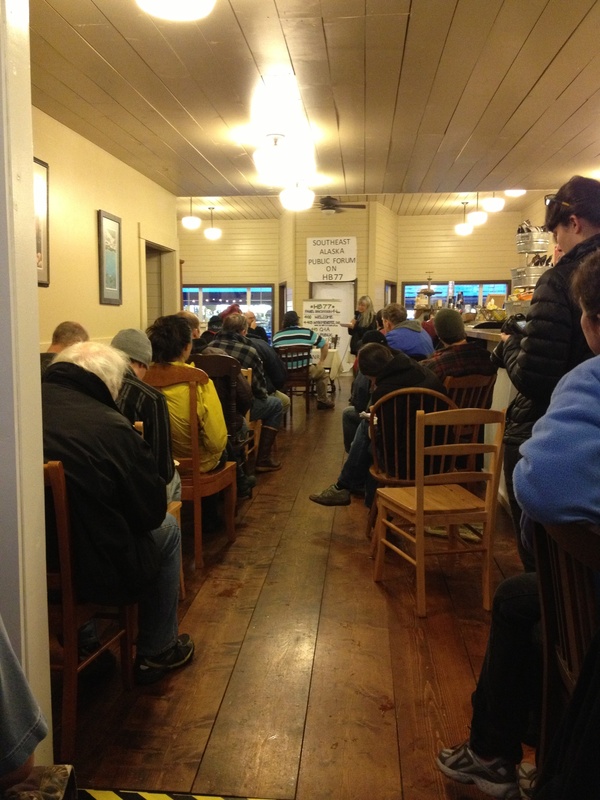 The Sitka community joined in opposition to HB 77 this past Thursday as well. Around fifty people showed up to a meeting scheduled with Department of Natural Resources Representative Wyn Menefee to get a better understanding of the bill. Mr. Menefee was unable to attend due to snow but the meeting still continued. Linda Behnken, Executive Director of the Alaska Longline Fishermen’s Association, helped frame the bill and answered questions posed. “Is there anything in this bill that you like?” , moderator Eric Jordan read off a notecard given by a community member. That’s the message that was heard repeatedly at Thursday’s public discussion through the fourteen people that testified against the bill. “Over 30 tribes have expressed opposition to HB 77 and Sitka Tribe is one of them,” said Michael Baines, Tribal Chairman of Sitka Tribe of Alaska. 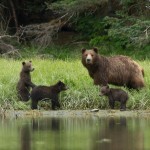 “This bill attacks the basic constitutional guarantees of fish and wildlife protection. 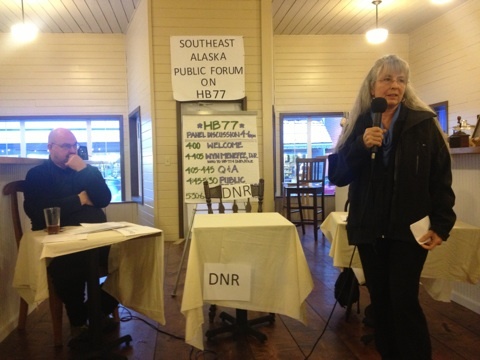 The public holds these resources in common yet [HB 77] gives priority to extractive interests that damage them,” said Matt Donohoe, board member of the Alaska Troller’s Association. Sitkans still want DNR to come to town and answer questions on HB 77, but this time it will be when we see the new amendments proposed on the bill. Right now behind closed doors, the Senate Rules Committee is proposing changes to the bill because of the hundreds of people that have outspoken against it. This reminds us that public participation IS in fact key to the way we manage our shared natural resources, and our rights as Alaskans. 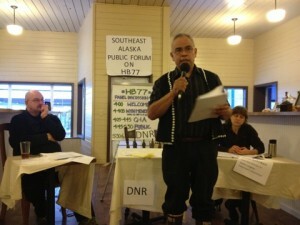 For more information on House Bill 77, go to www.standforsalmon.org and join us in writing Governor Sean Parnell to let him know of your opposition to HB 77 and to the giveaway of your rights as an Alaskan. When serving local seafood in our schools became a community health priority in the 2010 Sitka Health Summit, the Sitka Conservation Society recognized the opportunity to apply our mission to “support the development of sustainable communities.” Now all grades 2-12 in Sitka serve locally-harvested fish at least twice a month, reaching up to 1,500 students. In just three years over 4,000 pounds of fish have been donated to Sitka Schools from local seafood processors and fishermen. Fish to Schools is a grassroots initiative that builds connections and community between local fishermen, seafood processors, schools, students, and families. It’s a program that we would like to see replicated across the state—that’s why we created a resource guide and curriculum (available March 1st!). And that’s why I went to the Capital. Nutritional Alaskan Foods for Schools is a state funded program that reimburses school districts for their Alaskan food purchases. This $3 million grant allows schools to purchase Alaskan seafood, meats, veggies, and grains that would otherwise be cost prohibitive to school districts. It also gives a boost to farmers and fishermen with stable, in-state markets. Nutritional Alaskan Foods for Schools was introduced by Representative Stoltze and has been funded the last two years through the Capital Budget. 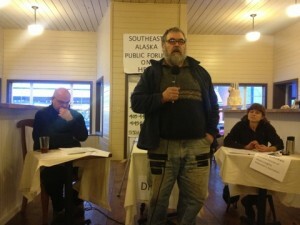 I went to Juneau to advocate for this funding because it’s a way to ensure funding for local food purchases state-wide. Locally this means sustained funding for our Fish to Schools program. I met with Senator Stedman, House Representative Kriess-Tomkins, and the Governor to tell them how valuable this grant has been for schools, food producers, and students around the state. I will continue my advocacy and ask you to join me. It is through your support that Fish to Schools exists in Sitka—let’s take that support and make this thing go state-wide! The Sitka School District took the lead by passing a resolution to support “multi-year” funding of Nutritional Alaskan Foods for Schools. Let’s join them and advocate for a program that revolutionizes school lunches and catalyzes local food production. Please sign this letter and tell Senator Stedman and Representative Kreiss-Tomkins you support state funding for local foods in schools. I am writing to express my support for sustained funding of Nutritional Alaskan Foods for Schools–a program that supports Sitka’s very own Fish to Schools program. Fish to Schools is a program that connects fishermen, seafood processors, school food service, the school district, and students. It’s a program that gets local fish on lunch trays while building local foods security, creating access to these foods, and connecting youth to their food source. Nutritional Alaskan Foods for Schools takes it one step further–now we can support our local economy by paying our fishermen and seafood processors while creating new, stable markets for their fish to stay in-state, support more jobs for our fleet, and provide more Alaskan foods for Alaskans. Nutritional Alaskan Foods for Schools supports Southeast Communities. Sustained funding ensures Alaska children eat Alaskan foods. It’s a small state investment that benefits many sectors or our community. I thank you for your support in having this program continue through sustained funding. Thank you Senator Stedman and Representative Kreiss-Tomkins. Keep me updated on local food issues! 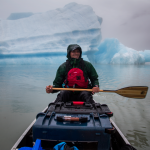 This week on Voices of the Tongass we get to hear from an Alaskan with an interesting perspective on place. 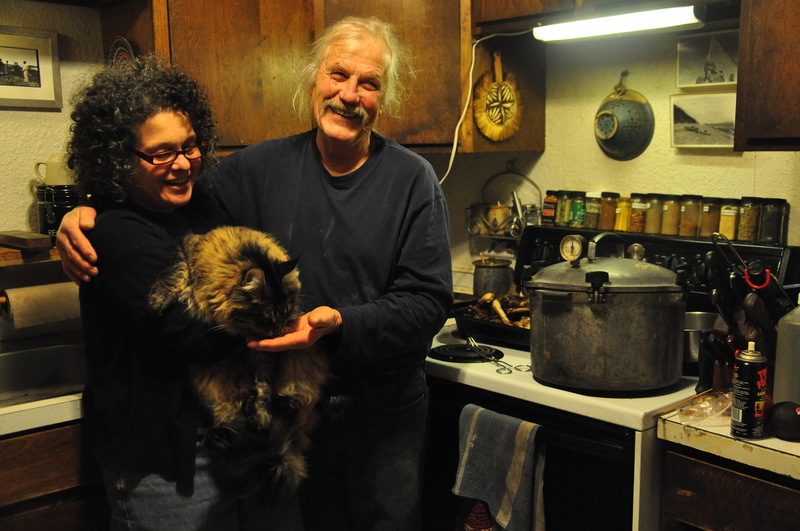 Kathryn Medinger was born and raised in Alaska, but hasn’t always lived in the Tongass. To hear her story, scroll to the play bar at the bottom of this post. Kathryn Medinger is not originally from the Tongass. Her family moved from Bethel to Sitka when she was thirteen, and to her it felt like moving to a big city. She had to adjust to paved roads, cell phones, and a lot more people. 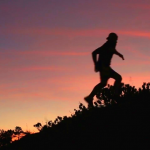 Another change to get used to was the dramatically different landscape, and the ability to be active outdoors year-round. 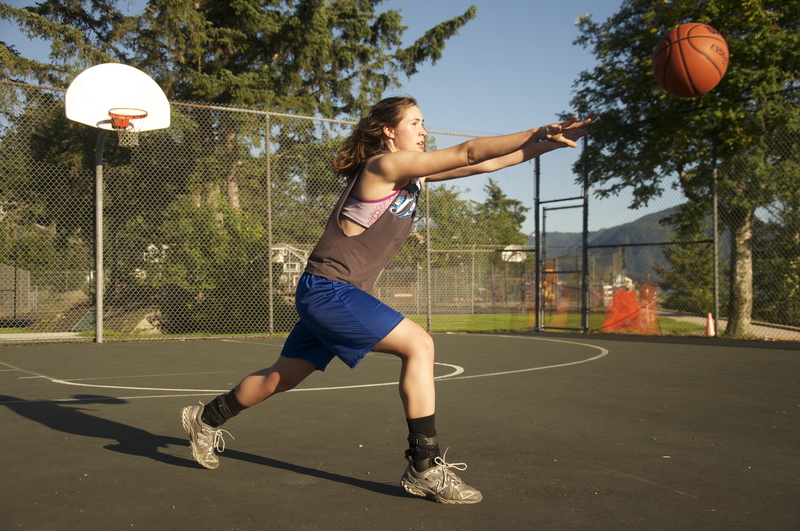 The long cold winters of Bethel were the foundation for Kathryn’s basketball career, which she has continued into college. The Alaska Way-of-Life 4H club had a full year of getting youth outside, civically engaged, and exploring the Tongass National Forest. 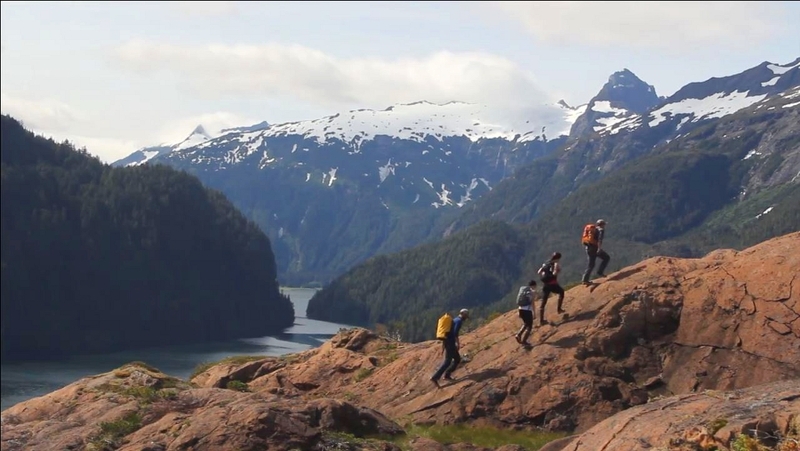 In 2013, young Sitkans explored the Tongass by foot and kayak, and gave back to community elders. 4H is a prime example of how SCS is meeting its goal to educate people to be better stewards of the Tongass and to live in a sustainable relationship with the natural world. Out of our network of over 70 families, 46 active 4H members in Sitka explored the Tongass forest in 2013. They learned how to identify and process wild edibles: spruce tips, Lingonberries, Huckleberries, Labrador tea, mushrooms, and rose hips. We made jams, jellies and fruit leather that were donated to elders at the Pioneers Home to give back to the community. A night hiking series stretched the members to explore the night and use their sense of smell, hearing, and sight with a new focus. In addition to hiking club, summer programs included gardening club, kayak club and a fishing clinic. The youth cultivated and harvested vegetables in the St. Peter’s Fellowship Farm, learned the basics of kayaking safety and technique and paddled the Sitka Sound, and learned how to make a lure and tie it to a fishing pole. 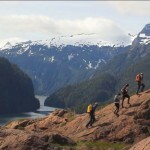 The year rounded out with an outdoor survival series educating youth how to be prepared and stay safe for outdoor adventures in the Tongass. 4H is open to youth ages 5 to 18. 2014 marks the adoption of the national 4H community club structure. There will be monthly meetings with all the project clubs, such as Alaska Way-of-Life and Baking, leadership opportunities, and public speaking. Want to get involved in 4H? 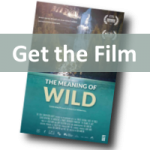 The Alaska Way-of-Life project is going strong with the Living with the Land Naturalist series on Fridays and gearing up with a new Adventure Series starting February 18 for ages 8-13. Check out the SCS events calendar for specific dates and times. 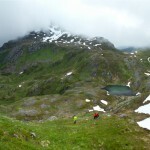 We are always open to new members curious to explore the Tongass and learn with us! Contact Mary at 747-7509 or mary@sitkawild.org. Get inspired by getting a snapshot of what we did in 2013! 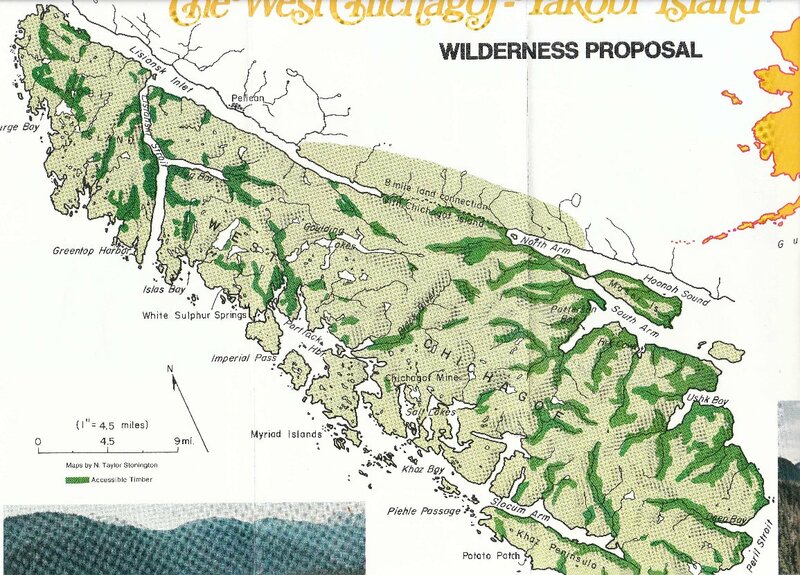 The Sitka Conservation Society is seeking an applicant to support the Sitka Community Wilderness Stewardship Project. The Wilderness Intern will assist SCS’s Wilderness Project manager to coordinate and lead monitoring expeditions during the 2014 summer field season. 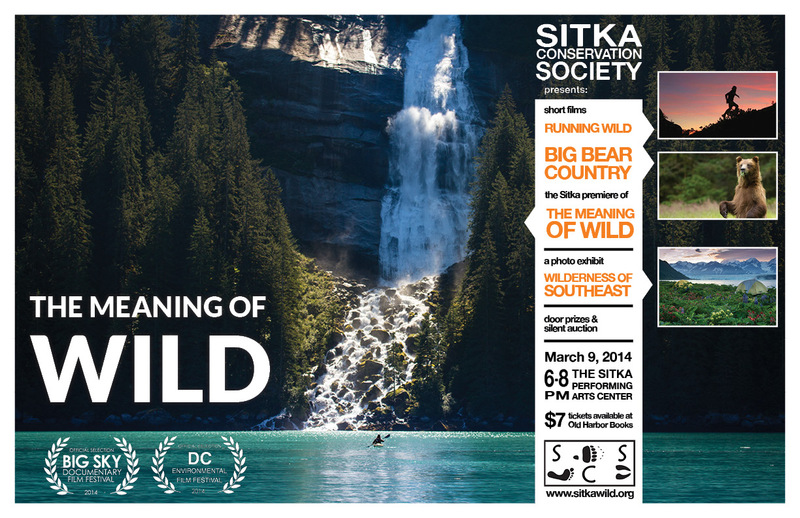 Organization: The Sitka Conservation Society (SCS) is a grassroots, membership-based organization dedicated to the conservation of the Tongass Temperate Rainforest and the protection of Sitka’s quality of life. 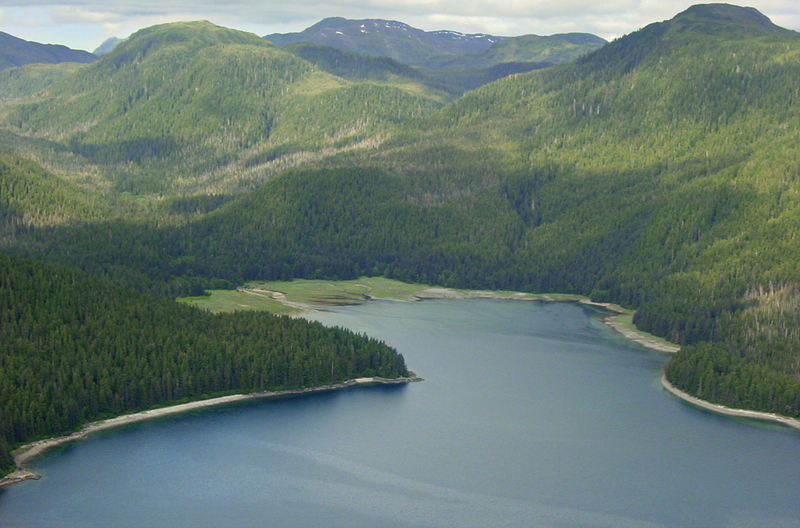 We have been active in Sitka, Alaska for over 45 years as a dynamic and concerned group of citizens who have an invested interest in their surrounding natural environment and the future well-being of their community. 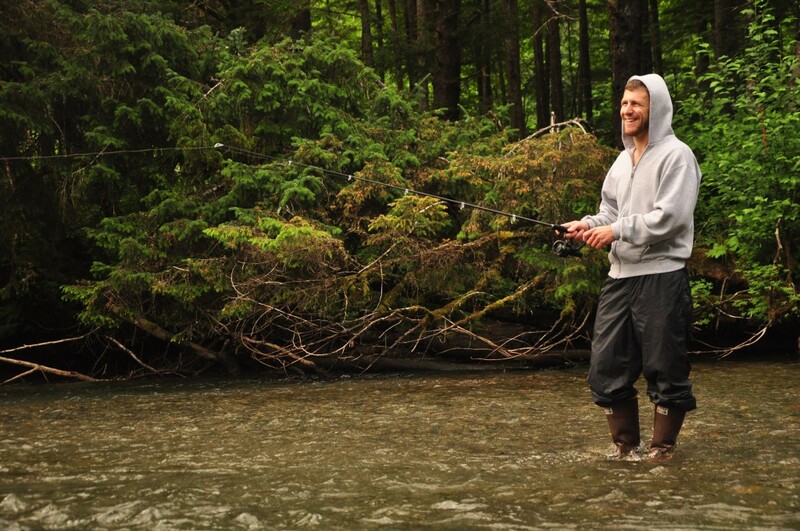 We are based in the small coastal town of Sitka, Alaska, located on the rugged outer west coast of Baranof Island. 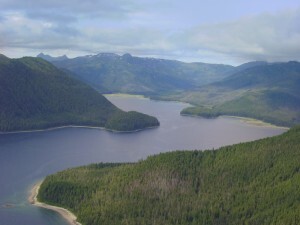 Surrounded by the towering trees of the Tongass National Rainforest, the community has successfully transformed from an industrial past and the closure of a local pulp mill to a new economy featuring a diversity of employers and small businesses. Background: The Tongass National Forest in Southeast Alaska is the nation’s largest National Forest totaling 17 million acres with almost 6 million acres of designated Wilderness Area (also the largest total Wilderness area of any National Forest). 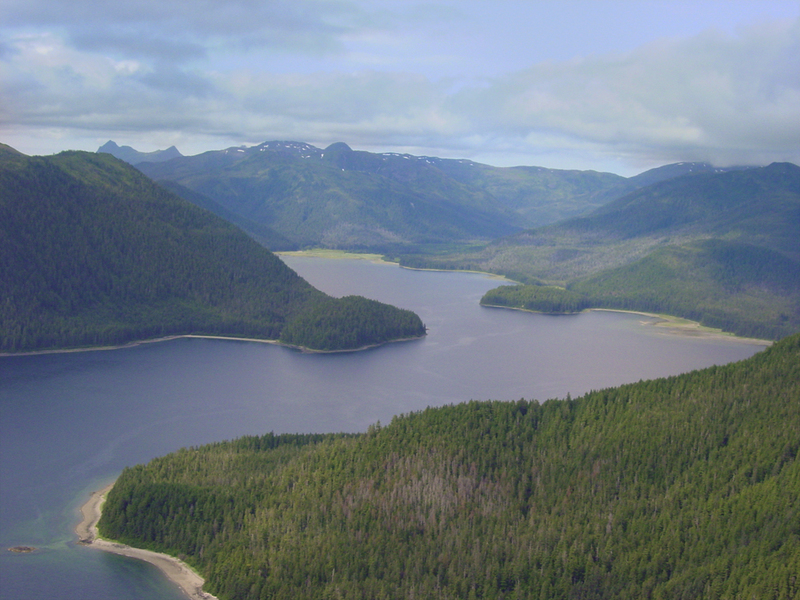 The Sitka Ranger District alone encompasses over 1.6 million acres of countless islands, glaciated peaks and old growth forests. 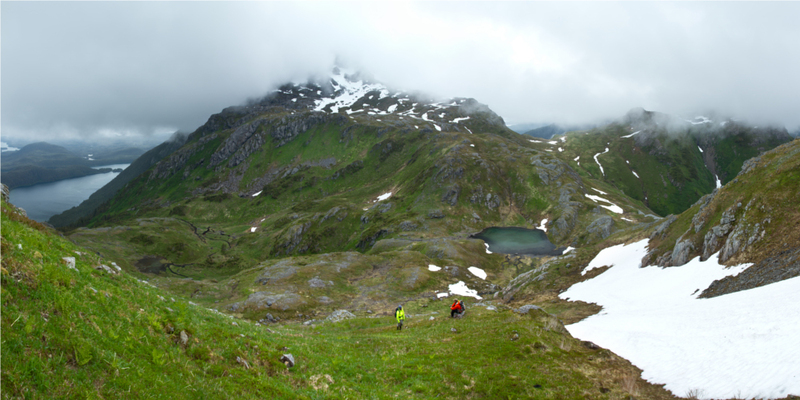 In 2009, SCS partnered with the Sitka Ranger District (SRD) to ensure the two Wilderness areas near Sitka (the West Chichagof Yakobi and South Baranof Wilderness Areas) meet a minimum management standard by conducting stewardship and monitoring activities and recruiting volunteers. 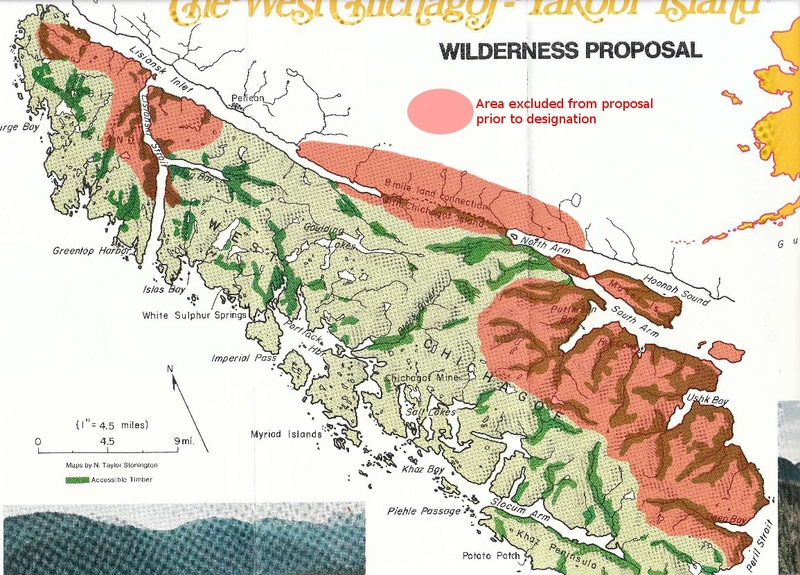 We will be continuing this project into its fifth year and extending the project to ranger districts throughout the Tongass National Forest. 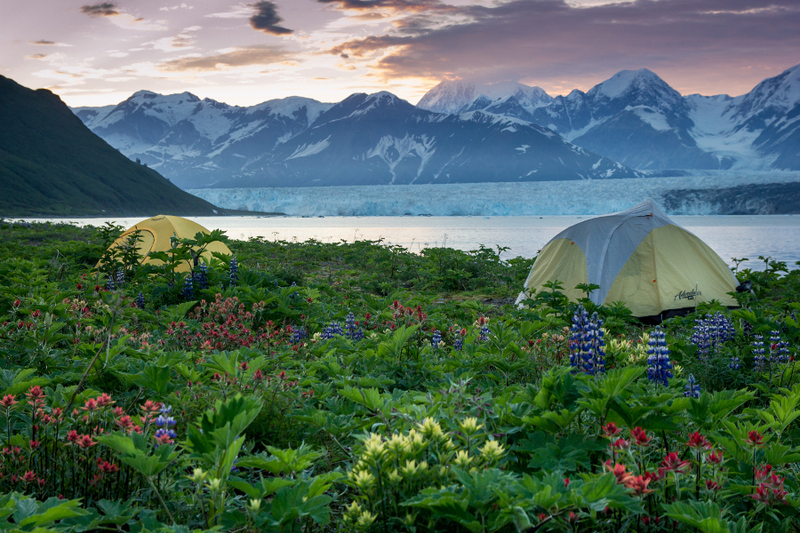 prepare and submit an intern summary report and portfolio of all produced materials, and other compiled outputs to the Forest Service and SCS before conclusion of the residency, including digital photos of your work experience and recreational activities in Alaska. Reports are crucial means for SCS to report on the project’s success. Fiscal Support: SCS will provide a stipend of $4,664 for this 14 week position. 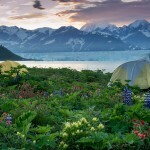 SCS will also provide up to $1,000 to cover the lowest cost airfare from the resident’s current location to Sitka. Airfare will be reimbursed upon submittal of receipts to SCS. June 4 – August 17: Participate in field trips and assist in coordinating future trips, contact Outfitter and Guides to distribute educational materials, assist SCS in other Wilderness stewardship activities.